Thank you for visiting the "Energy - Wind" page. It may just blow your mind. 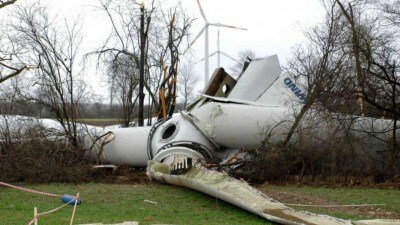 Wind energy is supposed to be eco-friendly, but you will learn that it's not as eco-friendly as you might be led to believe. In addition, it kills lots of birds, including endangered species such as the Bald Eagle, it's not reliable, and more. Spain did not install a single new megawatt of wind power capacity last year for the first time since the 1980s. South Australians are well down the track to an economic disaster – with its unemployment rate of 7.6% (and rising fast) it’s easily the worst performing State in the Nation, apparently keen as mustard to get whacked with the tag “rust-belt”. Rising power prices are punishing struggling families – 50,000 homes do without power altogether – and a raft of power hungry businesses and industries are shutting up shop for good (see this article).